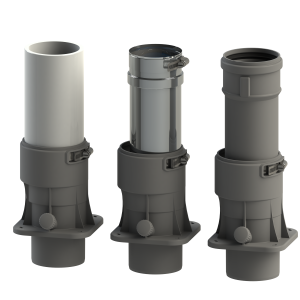 3-in-1 adapter: a range of boilers adapters providing flexible adaptation to several flue systems and dimensions. 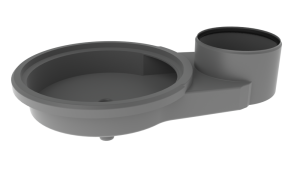 The 3-in-1 adapter range consist of: Appliance adapter DN60 to 2”, Appliance adapter DN80 to 3”, Appliance adapter DN100 to 4” and Appliance adapter DN150 to 6”. 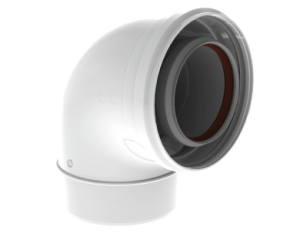 All adapters have an integrated measuring point. 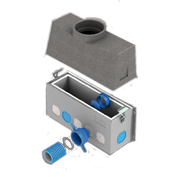 Unique benefits: Adaptation to 3 different flue venting materials and dimensions (PVC/CPVC, Stainless Steel and PP), Flexible and easy adaptation to marked specific demands. 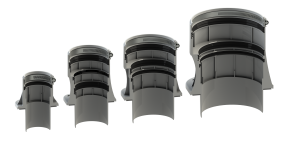 Special insert to adapt on the appliance to customer specific dimensions Low investment costs Integral part of the FPC (factory production control) according EN14471, EN15502 and ULC-S636.